Delighted to be part of the Format International Photography Festival 2019, part of an exciting, performative and residence-based live exhibition entitled, The Office Of Revised Futures, curated by Rodrigo Orrantia, in Derby opening this Thursday! We will be based at the Smallprint Company and I'll be alongside, Lewis Bush, Hannah Hughes, Fernando Martin Gody and Mark Murphy as we work up a collaborative installation. 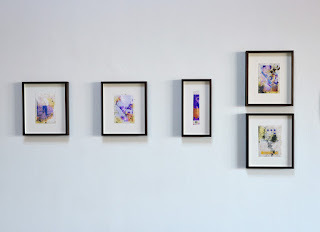 The connecting thread between the works is the analogue photographic collage; a genre that belongs to the re-imagined sphere. Each of the constructed images in the show is presented as simultaneously complete, yet fragmented, disrupting photography’s straightforward relationship with time and representation, therefore actively looking to create alternative narratives. 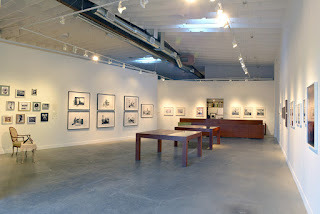 The presented works deal with the connection between artists and writers. Don’t miss the official opening of FORMAT19, which starts at 17.30pm in QUAD where speeches will be given by Adam Buss, Councillor Grimadell, Louise Fedotov-Clements and Mark Done (Arts Council England). 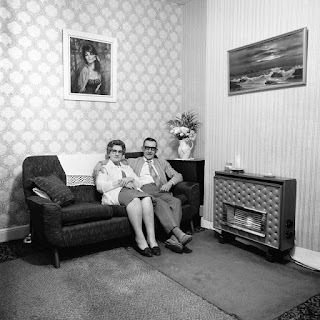 Over at the Derby Market Hall Craig Easton will introduce the UK wide project SIXTEEN at 18.30pm and at 19.15pm, Senior Curator at the V&A, Martin Barnes along with Tony Butler will present the Maurice Broomfield show at the Derby Museum and Art Gallery. Image above: "No Limits Studio", Miss Titus Becomes A Regular Army Mac Publication - Source Material from the Archive of Brad Feuerhelm, Designed by Kummer & Herrman. Welcome 2019! And what a wonderful new year is shaping up to be. With projects in the waiting and others to be shared shortly, this year is going to be filled with exciting adventures... more to come soon, but in the meantime, a lovely collection of installation shots from my current exhibition, Remembrance, a stunning group show at the wonderful ROSEGALLERY in Santa Monica. I am delighted to finish this year with the inclusion of my collaborative series, Lunar Caustic in a stunning exhibition entitled Remembrance at the ROSEGALLERY in Santa Monica. The exhibition opened on Saturday 8 December and will run until the 26 January 2019, excerpt from the press release below. 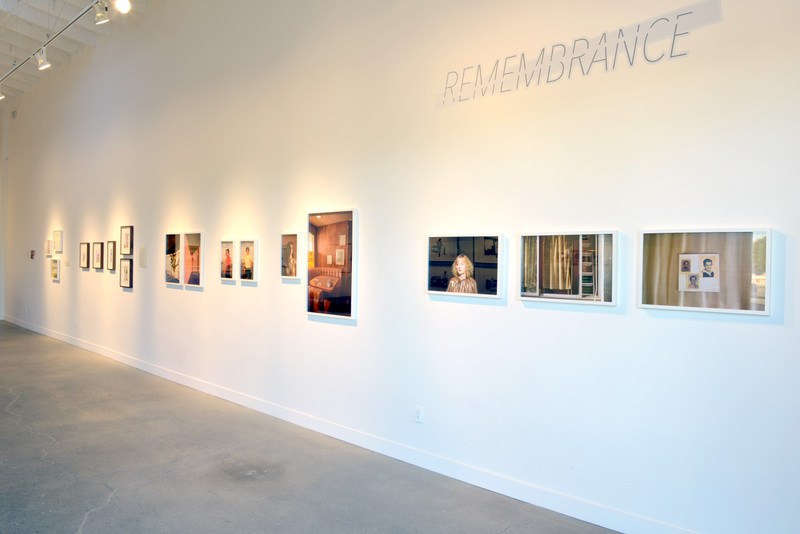 Remembrance centres on photography’s influence upon memory and the notion of family. With work by artists who explores their connections to community and family through the utilisation of found imagery, whether sourced through personal photo albums or public archives, the exhibition features works by Melinda Gibson and Thomas Sauvin, Carla Jay Harris and Brenda E. Stevenson, Lebohang Kganye, Kovi Konowiecki, B Neimeth, and Martin Parr, and is curated by Thomas Kollie and Zoe Lemelson. Where time moves generations apart, images remain as artefacts of personal histories, existing in family albums and archives until they live again in minds as memories. When remembrance is mediated through photographs, these intimate moments, caught on camera, are often re-imagined and instilled into personal narratives of the present. 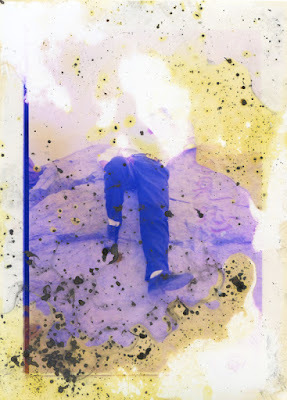 Remembrance examines the various ways photographers working with archives explore their personal connections to the past as they expose the meaning of memories embedded in their images. Melinda Gibson and Thomas Sauvin similarly use vernacular photographs to question the hierarchies of remembrance. In their series Lunar Caustic, the artists appropriate found family photographs that were in the process of being extracted for their chemical compounds, and thus forgotten, to stop the erasure of the stories in the images. The resulting photographs use destruction as both a visual evocation and a commentary on the prioritisation of imagery and memory. An exhibition surely not to be missed if State side. 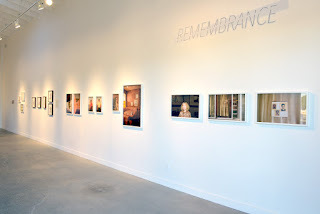 More information can be found here: https://www.rosegallery.net/exhibition-remembrance. 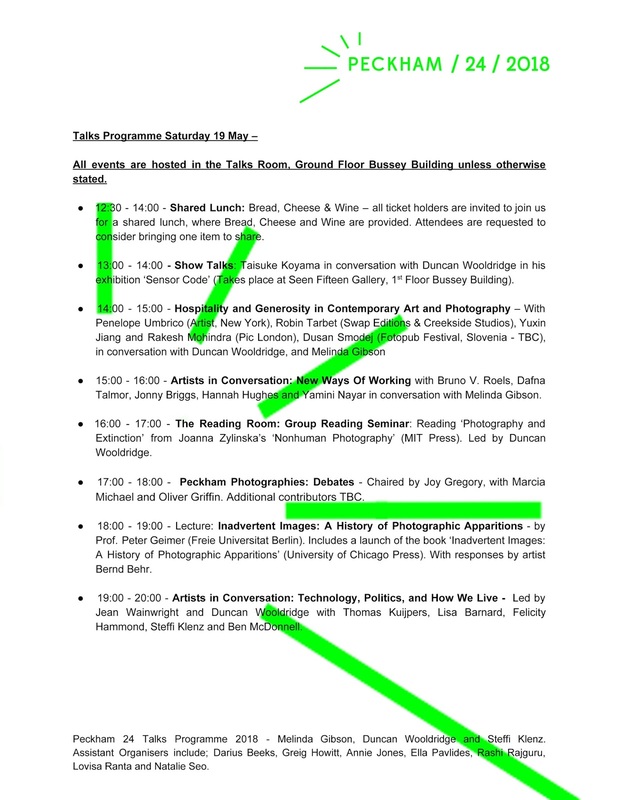 Back in May, a new small collective made up of artists and thinkers; Duncan Wooldridge, Steffi Klenz and myself draw upon ideas and launched our inaugural programme of Talks and Events during Photo London, at the fringe festival, Peckham 24. In contrast to traditional talks events, the programme had been composed not of generic or monolithic talks, but discursive events based around hospitality, dialogue and debate. Intended for both contemporary producers, young artists and photographers, a key theme of the programme was its focus upon generosity and support: acknowledging and emphasising the necessity of forms of exchange and community which resist the tendency towards an atomised and individualistic culture. 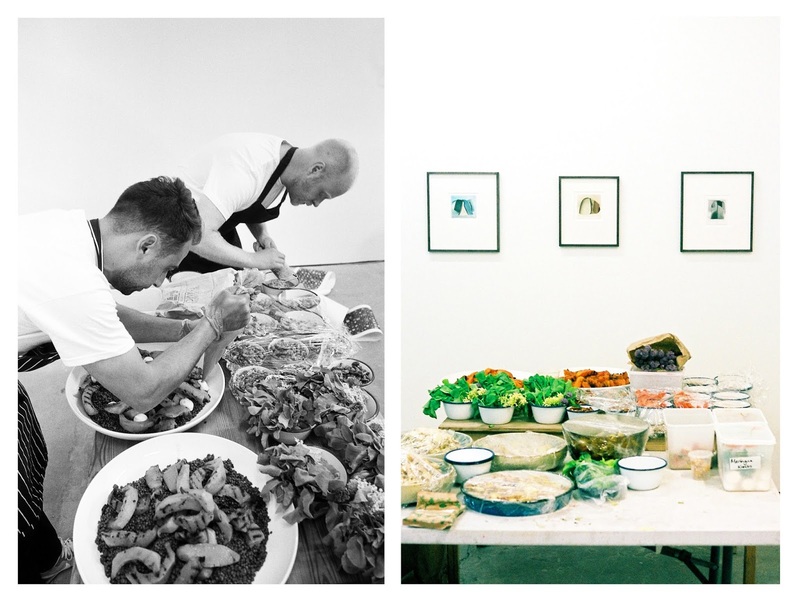 Our new programme kicked off on Saturday 19 May with a shared lunch that brought artists, thinkers, parents and children together in a non-hierarchal environment that blurred the boundaries of the unattainable and promoted organic growth with like-minded conversations. Children nibbled at bits of torn bread, parents whispered over wine, artists and thinkers exchanged stories. A warmth waved through the room, setting the scene. With each new talk, conversations blossomed, communities grew and a shared vision appeared through the usually cloaked vail. A true sense of sharing, opportunity, transparency and honesty filled the room minute by minute. Thinkers spoke of stories, tales of an utopian dreams they believed could be reached. Artists inspired audiences with wit, humour and honesty, provoking important questions about contemporary culture and the need to stop, listen, pause and participate. With each artist a new vision, a peak into their world, their mind. 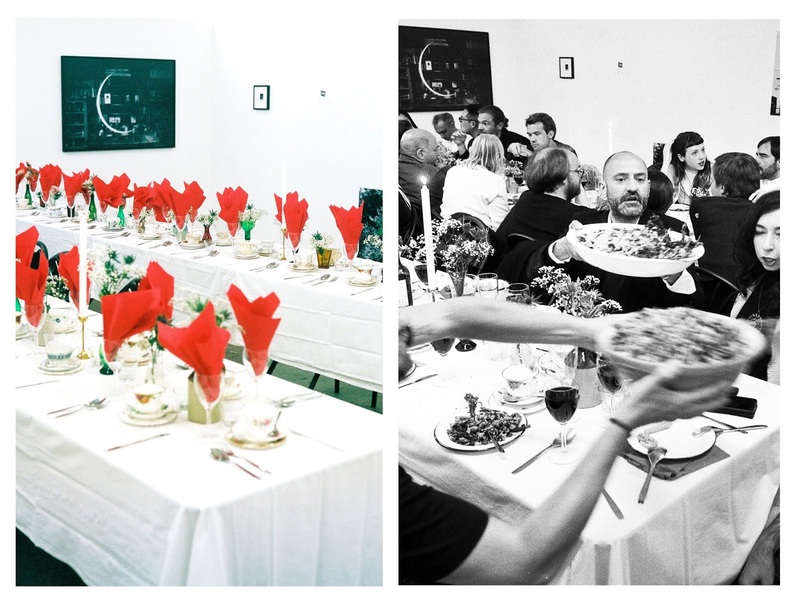 The finale of our first programme was a special invited dinner, bringing together a selection of emerging artists, into contact with curators, publishers and supporters of the arts who are notable for their generosity and support of emerging practice. Photography courses across the country were invited to nominate a recent graduate – who has not yet received the acknowledgement their work merits – to join the dinner and food was prepared by Leo and Scott, an emerging South London caterers who prepared a special menu that encouraged exchange, interaction through a selection of sharing platters. 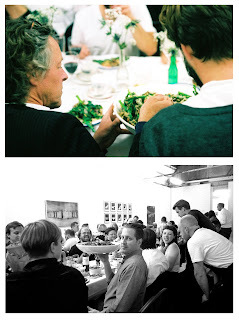 The concluding dinner encapsulated all of our hopes and dreams of what our first programme could achieve. The gallery was filled with joy, laughter, positivity and generosity as friends, colleagues and new emerging artists shared dinner and drinks over many hours. The conversations flowed like the wine and collectives grew over the course of the evening as like-minded individuals connected. Very importantly, a huge thank you to Mr David Solo, for believing in our vision and supporting our first programme, without his generosity it could not have been realised to what we had envisioned - our deepest thanks to him. It was an absolutely wonderful experience to see all the fruits of our labour play out with so much warmth, we can not wait until our next programme launches next year...more to come shortly! 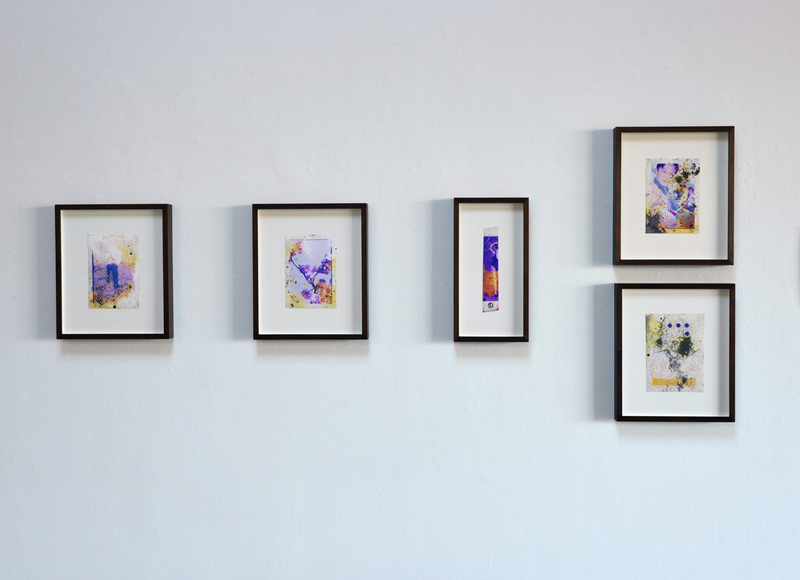 Images from the event are from Alumni Student Lara @ Camberwell College of Arts. We are delighted to release the full Talks Programme for Peckham 24 2018, with a special focus from the talks programme of Generosity & Hospitality. Tickets are now available here - All tickets include a ticket to the Shared Lunch! All events are hosted in the Talks Room, Ground Floor Bussey Building unless otherwise stated. 12:30 - 14:00 - Shared Lunch: Bread, Cheese & Wine – all ticket holders are invited to join us for a shared lunch, where Bread, Cheese and Wine are provided. Attendees are requested to consider bringing one item to share. 14:00 - 15:00 - Hospitality and Generosity in Contemporary Art and Photography – With Penelope Umbrico (Artist, New York), Robin Tarbet (Swap Editions & Creekside Studios), Yuxin Jiang and Rakesh Mohindra (Pic London), Dusan Smodej (Fotopub Festival, Slovenia - TBC), in conversation with Duncan Wooldridge, and Melinda Gibson. 15:00 - 16:00 - Artists in Conversation: New Ways Of Working with Bruno V. Roels, Dafna Talmor, Jonny Briggs, Hannah Hughes and Yamini Nayar in conversation with Melinda Gibson. 16:00 - 17:00 - The Reading Room: Group Reading Seminar: Reading ‘Photography and Extinction’ from Joanna Zylinska’s ‘Nonhuman Photography’ (MIT Press). Led by Duncan Wooldridge. 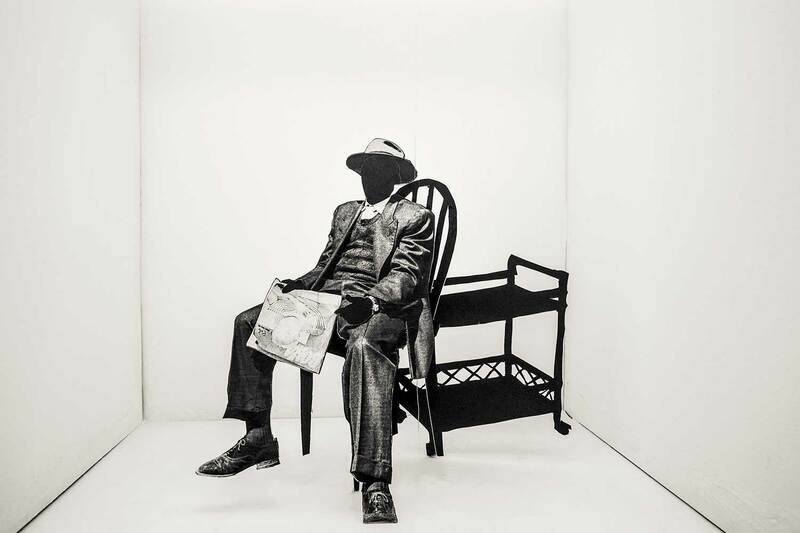 17:00 - 18:00 - Peckham Photographies: Debates - Chaired by Joy Gregory, with Marcia Michael and Oliver Griffin. Additional contributors TBC. 18:00 - 19:00 - Lecture: Inadvertent Images: A History of Photographic Apparitions - by Prof. Peter Geimer (Freie Universitat Berlin). Includes a launch of the book ‘Inadvertent Images: A History of Photographic Apparitions’ (University of Chicago Press). With responses by artist Bernd Behr. 19:00 - 20:00 - Artists in Conversation: Technology, Politics, and How We Live - Led by Jean Wainwright and Duncan Wooldridge with Thomas Kuijpers, Lisa Barnard, Felicity Hammond, Steffi Klenz and Ben McDonnell. 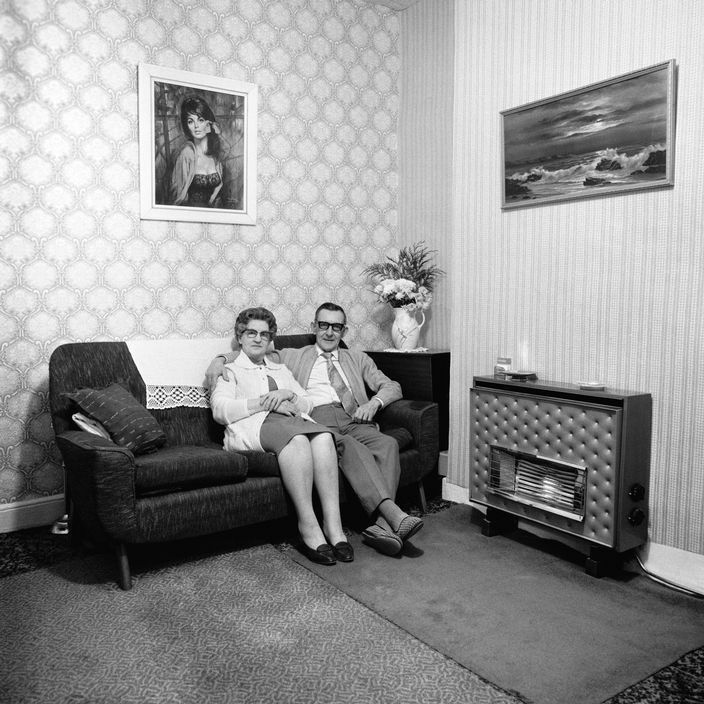 As part of the third edition of the Peckham 24 contemporary photography festival, artist Melinda Gibson, writer Duncan Wooldridge (both Camberwell College of Arts, University of the Arts London) and artist Steffi Klenz, have curated a programme of talks and discussions which address debates in contemporary photography. In contrast to traditional talks events, the programme has been composed not of generic or monolithic talks, but discursive events based around hospitality, dialogue and debate. Intended for both contemporary producers and young artists and photographers, a key theme of the programme is its focus upon generosity and support: acknowledging and emphasising the necessity of forms of exchange and community which resist the tendency towards an atomised and individualistic culture. Attendees of all talks events are invited to join a shared lunch where speakers, attendees and organisers can talk together; artists will take part in discussions in an intimate environment. To conclude, a special dinner has been arranged which does not bring together all of the events speakers, but brings a selection of emerging artists, into contact with curators, publishers and supporters of the arts who are notable for their generosity and support of emerging practice. Photography courses across the country have been invited to nominate a recent graduate – who has not yet received the acknowledgement their work merits – to join the dinner. Food is prepared by Leo and Scott, an emerging South London caterers (www.leoandscott.com), who have prepared a special menu that encourages exchange and interaction. 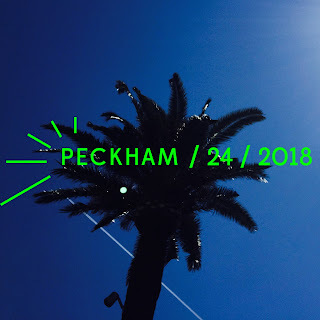 Peckham 24 opens on Friday 18th May at 6pm, and exhibitions run until Sunday 20th May. A very Happy International Women's Day to all the beautiful and amazing women in my life. Today I want to raise my hand, high and strong and share these words with you. To be a woman is the greatest gift, a vessel that can sail you through. A body that is powerful and strong, a mind creative, academic, emotional and true. A vision that has no boundaries, but strives for balance, hope and change. A history that shares the pain, but reminds us of what we have achieved. Today I feel a wealth of warmth, knowing that I share my life with so many of you. I am honoured and humbled that our paths have crossed, and we share in many of the same views. Let this day forth bring us closer to our goals, a day when gender is not a display. But when respect, equal pay and balance, is taught from birth in the right way. 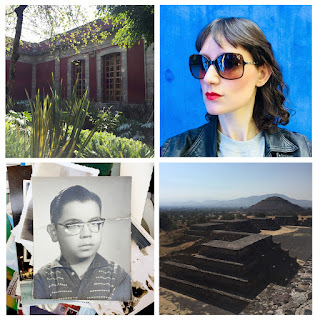 So I find myself back from Mexico City just over a week and I am already missing the warmth, generosity, excitement and forever inspiring moments that came from magnificent and marvellous city! Mexico has always been a country that I've dreamed of visiting and I can honestly say that I was beyond excited, but also very much deeply moved by all that I experienced in the nine days I was there. There are moments in your life when you feel truly humbled and honoured that your artistic practice can take you to places far and wide, and this city, the people, the inspiration I witnessed has left me feeling moved in a way I wasn't quite expecting. To hear the stories from the participants of the workshop, Brad and I delivered were both emotive and strong, but also very divisive. To listen to the things people see everyday and are trying to fight against, was incredible to hear, but also to see how their creative, cathartic approaches through each of their practices helped to release powerful visual images, that all brought together resulted in a beautiful subverted 'Red Magazine'. From Roma to the Pyramids, every moment, corner explored was a delight and I must extend my huge thanks to all that people that managed to make this happen. 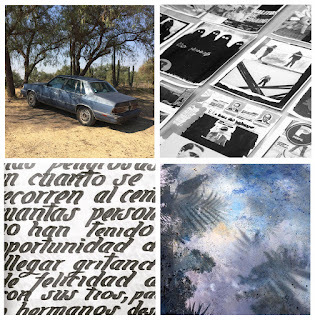 Enormous thanks to all at ROSEGALLERY who patiently prepared and organised the shipment of the works from Santa Monica to Mexico City, to all at Centro de la Imagen who installed, worked on and opened their arms to my arrival, to new friends and colleagues like Natasha and Mariela who are just extraordinary women - deeply moved and honoured to have worked with you all. And Mexico, I shall be back very, very soon indeed! 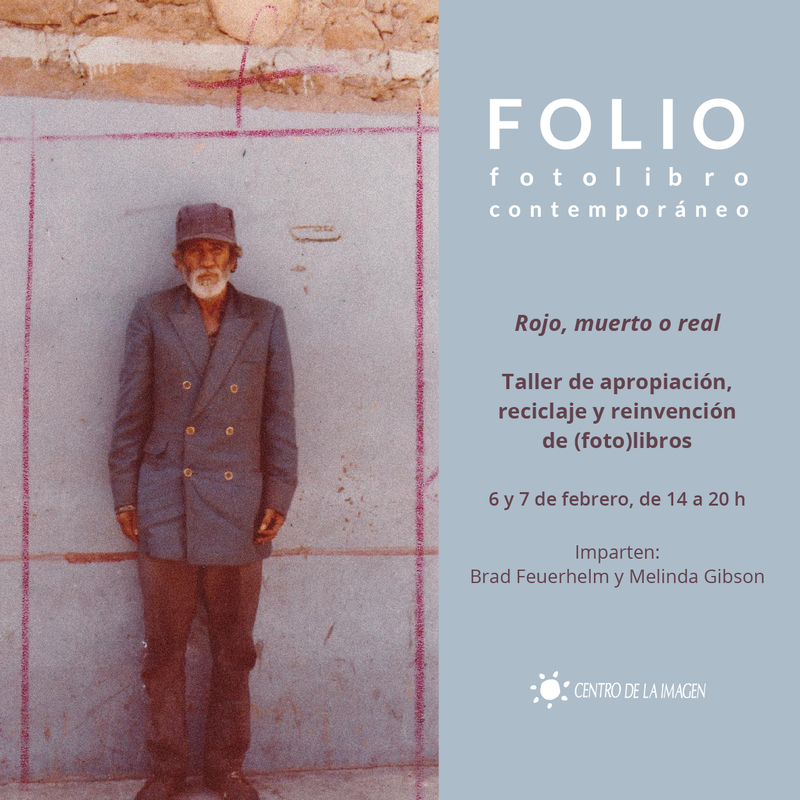 RED, DEAD OR REAL is a workshop of appropriation, recycling and reinvention of (photo)books lead by myself and Brad which takes place on the 6 & 7 February at the Centro de la Imagen in Mexico City!!! We are beyond excited to have developed and lead this workshop in a city which we have both dreamed of visiting and we would like to extend our greatest thanks to all the wonderful supporters, staff and curators who have made this possible - huge thanks to the Centro de la Imagen, Natasha, Mariela and our dear friend David Solo. The workshop seeks to review, challenge and create new versions of photo-publications of a political nature in a theoretical, creative and participatory space to debate. Participants will work on the idea of the red note publications not only as a book, but as a means to challenge, in broader terms the methodology of violence coverage in journalism in Mexico. Thus, they will develop anti-content that deconstructs seminal publications of photography and sensationalist magazines seeking to generate subversive reinterpretations. 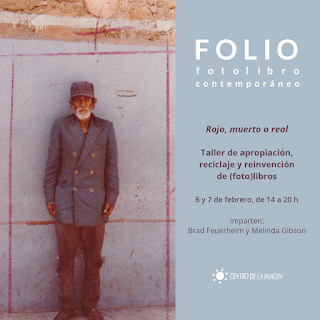 Red, Dead or Real will be taught by myself and Brad Feuerhelm, who participate in Reversiones, an exhibition that is currently exhibited at the Centro de la Imagen as part of the E.Folio.001 (Encounter on the contemporary photobook). Aimed at artists, photographers, photography students, editors, illustrators, bookbinders and amateurs. All you need to do is submit a brief registration form setting out your ideas and reasons behind wishing to attend along with a portfolio of your work (no more than 15 images in a single PDF format) to the Centro de la Imagen by email by Thursday February 1 at 2:59 pm (Mexico City Time). As we enter into 2018, I don on my black and white top hat, lay with the silver streamers and listen to vintage jazz thinking about all the exciting and wonderful opportunities that will come from this exciting and adventureous New Year! I was truly delighted to see in the new days in style, at a delightful Copenhagen dinner party with new friends. I want to take this opportunity to wish you all a truly beautiful, inspiring and loving new year that is filled with the most magical days. May each day be filled with love, light and much laughter and all that each of you could wish for. This year IS set to be one of the best yet! 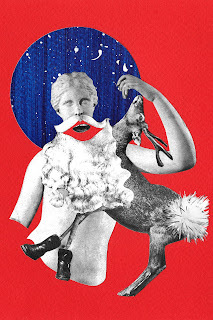 A Very Merry And Magical Christmas To You All - A Very Happy & Exciting New Year Awaits! So this time comes again, when we put down our tools and get ready to rest up with some much needed relaxation and of course celebration! 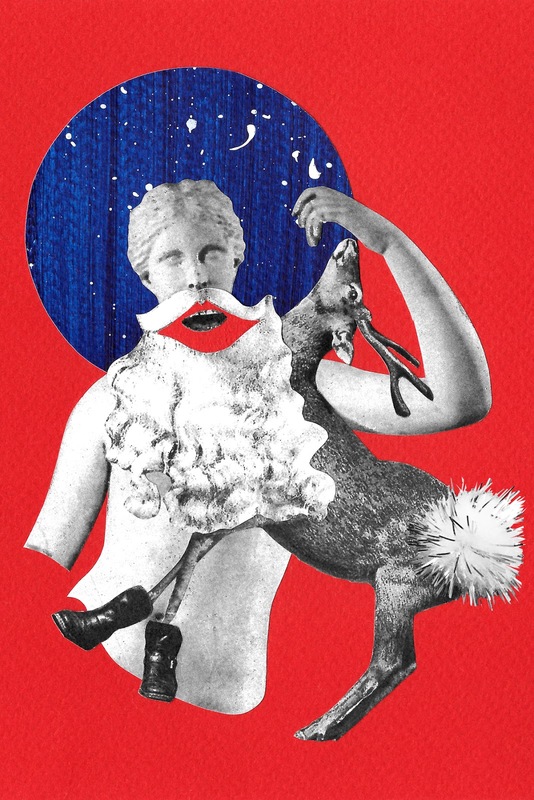 But before all the festivities start, I get great joy from making and sending out my Limited Edition Christmas Cards and this year I pay homage to the greats that are the Dadaists, with a edition of 50 cards. I want to take this opportunity to wish you all a magical Christmas. I hope that it is filled with much joy and happiness. It has been an absolute pleasure working with so many extraordinary people this year and I thoroughly look forward to what 2018 brings. Let's raise a glass to 2017 and await the excitement of 2018 - which I know is going to be an amazing year already! "By creating these coloured paper cut-outs, it seems to me that I am happily anticipating things to come. I don't think I have ever found such balance as I have in creating these paper cut-outs. But I know that it will only be much later that people realise to what extent the work I am doing today is in step with the future." Alexander Rodchenko, for the Soviertskoye foto, 31st October 1934. Carter Mull, notes in reponse to "foRm" by Kevin Moore. 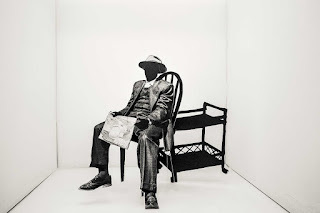 Jennifer Higgie, Frieze Editors Blog about Krakow Photomonth. “We have an internet full of inspiration: The profound, the beautiful, the disturbing, the ridiculous, the trivial, the vernacular and the intimate. We have next-to-nothing cameras that record the lightest light, the darkest dark. This technological potential has creative consequences. It changes our sense of what it means to make. It results in work that feels like play, work that turns old into new elevates the banal...."
Taken from an article about Erik Kessel by Louise Clements in 1000 Words Photography magazine. When I am with you its familiar and beautiful, and? As night comes in I know it better, seeing it clear again." "I am the servant of my practice, it's an adventure." "Sometimes when I get overexcited about this dematerialized moment, I think, 'Could you consider photography as a way of thinking?" "I love that moment of discovery, when something appears out of the ground of its disappearance; the anonymous space of circulation, where images remain unseen and overlooked." Wrote Bruce Nauman, in a 1967 neon sign. “I know a way out! Paul Flynn, pg 95, 11th issue, Fantastic Man, 2010. "There are moments that I've had some real brilliance, you know, but I think they are moments. And sometimes, in a career, moments are enough." Dennis Hooper died 29th May 2010. From Nietzsche's Twilight of the Idols, ch.3, s.6, Walter Kaufmann translation. There is only one difference between a madman and me. 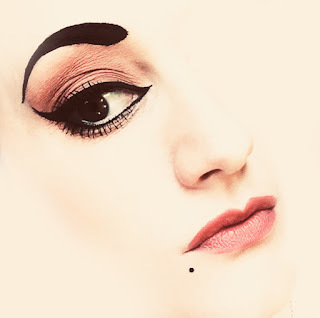 I am not mad." Salvador Dali, From Diary of a Genius. Anthony Giddens, Introduction, “Modernity and Self Identity”, 1991. Tonino Guerra, “A fond farewell, Instant Light, Tarkovsky Polaroids”, 2004. Gerhard Richter, Exert taken from the Exhibition catalogue from “Gerhard Richter Portraits” at National Portrait Gallery, 2009. As opposed to life itself. Pg 56, “Instant Light, Tarkovsky Polaroids”, 2004. Martin Heidegger, quote taken from an interview with John Stezaker. Paul Valéry, ‘La Conquéte de l’abiquité,’ Paris. Taken from Pg. 211 “The Work of Art in the Age of mechanical reproduction.” Illuminations, Walter Benjamin, 1968. Gareth Evans, 19th May 2005, taken from “Hold everything dear; Dispatches on survival and resistance” by John Berger” 2007. "Don't undertake a project unless it is manifestly important and nearly impossible"
This blog is a collection of work, news and contact details while my website www.melindajgibson.com is under construction. All images are copyright protected (C) Melinda Gibson UK.